If you own your own business, you already ARE an entrepreneur, but you may not think of yourself that way. Here are 3 concepts to integrate into your ways of doing business. Brainstorm what kinds of offers you might want to add to your business. practice or therapy center, Something else you’ll cook up. 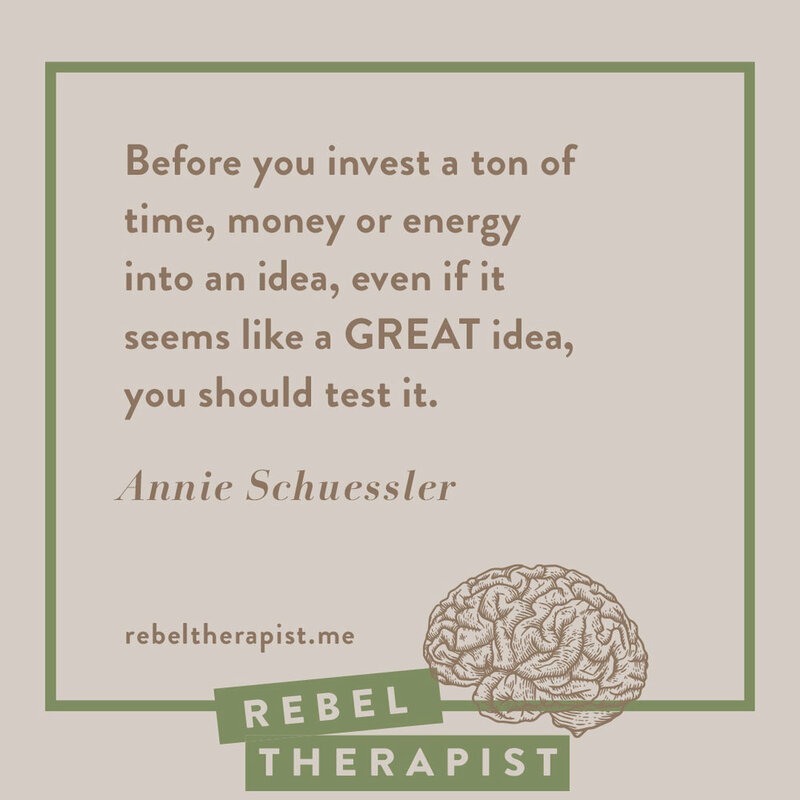 Before you invest a ton of time, money or energy into an idea, even if it seems like a GREAT idea, you should test it. Create a minimum viable product or minimum viable service. See if anyone wants it, get feedback so you can improve it, and then create the next iteration. Creating an offer is always an iterative process. Let’s say you want to create a multi-lesson course with curriculum. Start by running a workshop and teaching only part of the material. Teach it live. Sell it to a small number of people. Notice what works, ask for feedback, and see whether people get the outcome you were hoping they’d get. If you can’t sell it to anyone, you know you’ve got to make some adjustments and then try again. Your content is the stuff you create: articles, social media posts, videos, podcast episodes, insta stories, all of it. Content strategy means having a goal for what you want your content to achieve and a plan that informs what you create, where you deliver it and when you offer it. Decide who your content is for and what you want them to do (which involves paying you). Create the form of content that comes most easily to you. 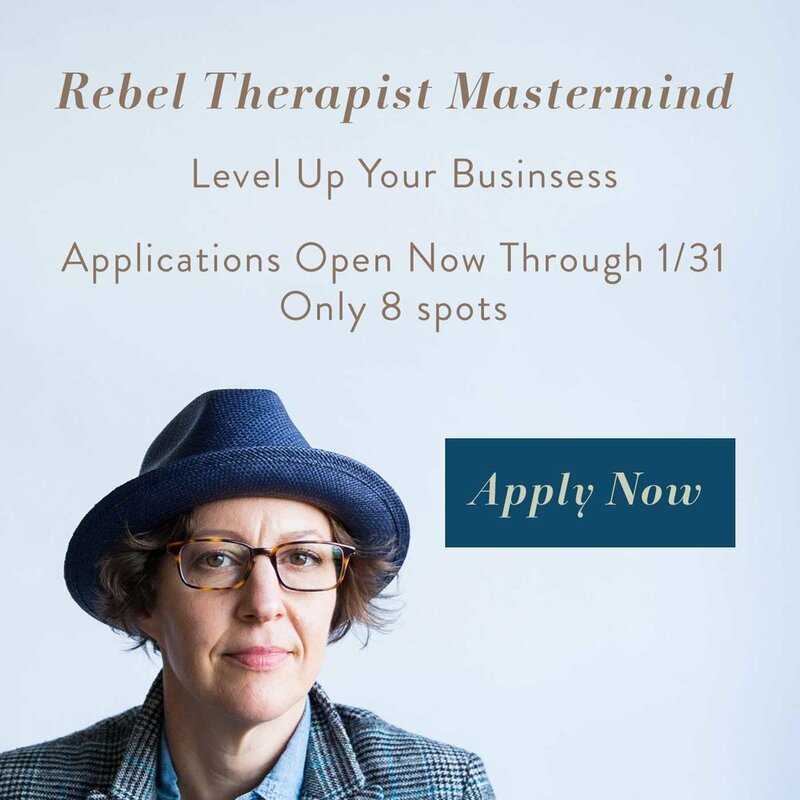 Brainstorm all of the things your future client or customer needs to hear in order to be ready to take action. Start creating content!